How can I change a specific page number to bold? As an ester egg I would like to change the formatting of only one page number and leave all other as they are. Here's a fancyhdr approach with a \ifnum conditional. The specific page number can be set with \myfancypagenumber. I did it using fancyhdr as suggested by Christian. To remove the header fanncyhdr adds. Not the answer you're looking for? Browse other questions tagged formatting page-numbering or ask your own question. How to change page number location on ALL pages (including chapter pages) WITHOUT fancyhdr? 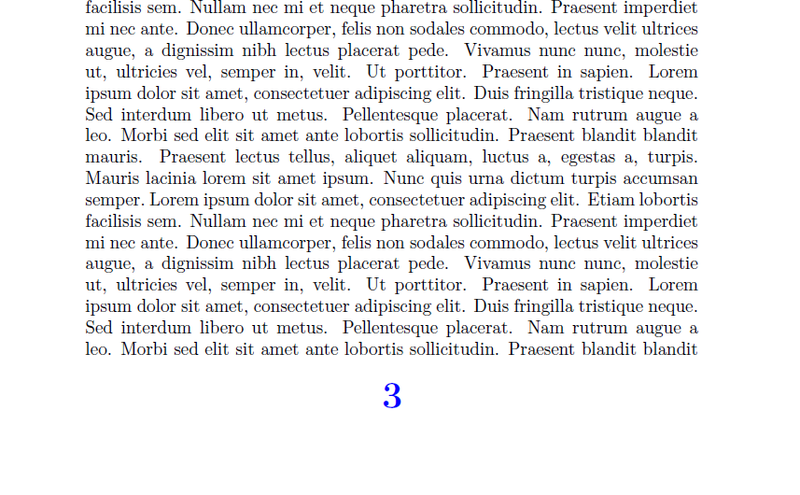 How to reposition or remove middle pagination labels? How to change page numbering format from “1” to “Page first”?